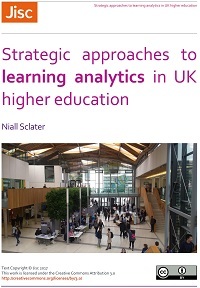 Rob Jones and I attended the Tribal SITSFEST 2016 in Celtic Manor Newport on Weds 13 July to deliver a breakout session on the Learning Analytics service with Adam Cooper and Richard Palmer from the Tribal Student Insights team. 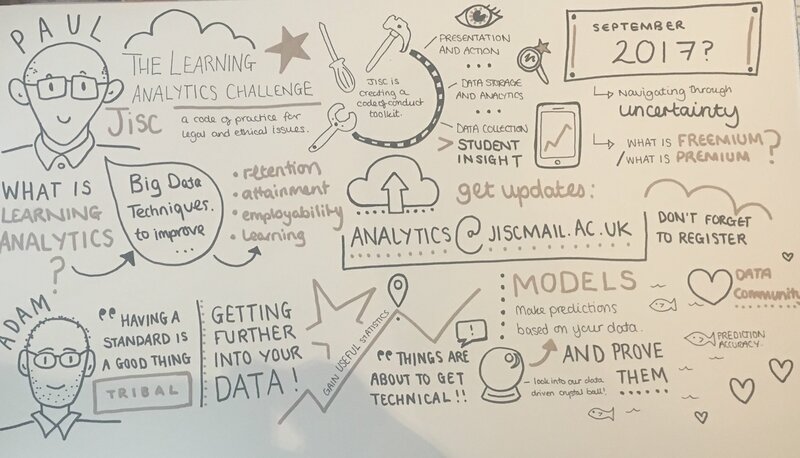 This was my third presentation on the learning analytics service in three days, so it was reassuring to see this image created at the event of my presentation that seems to have captured the key message ” register at analytics@jiscmail.ac.uk” if you want to get involved. 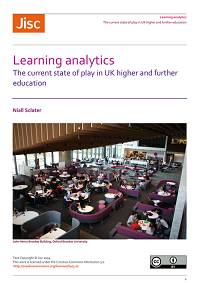 We’re just planning the next phase of the learning analytics project to scale up engagement and support more institutions to get involved in readiness for implementation of learning analytics. 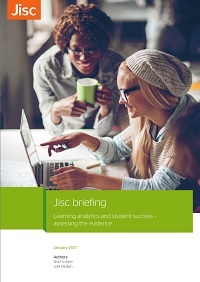 Watch this space and the jiscmail list analytics@iscmail.ac.uk for details. The more intellectual part of the session was delivered by Adam Cooper who described the process used by Tribal to create a predictive analytics model using Tribal Insight. 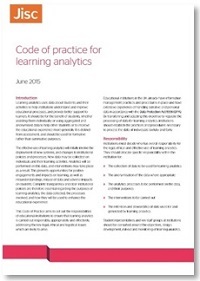 It all starts with your analytics aims, looking at your data and then it gets technical. 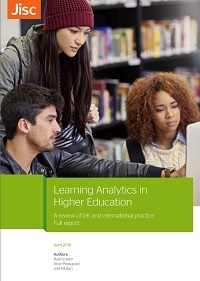 Most reassuring to participants is that the process delivers an analytics model based on their data. 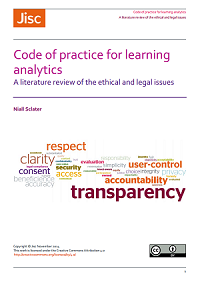 Adam explained how we measure and refine the recall and precision of analytics models and why simply talking about “accuracy” is not a good guide to fitness for purpose. 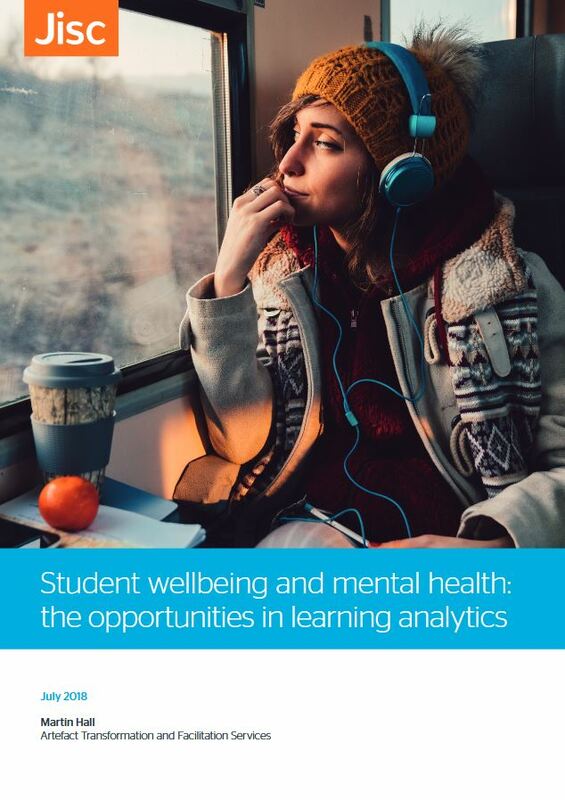 I will be presenting on learning analytics again next week and most my presentations are available via slideshare if you wish to access them.